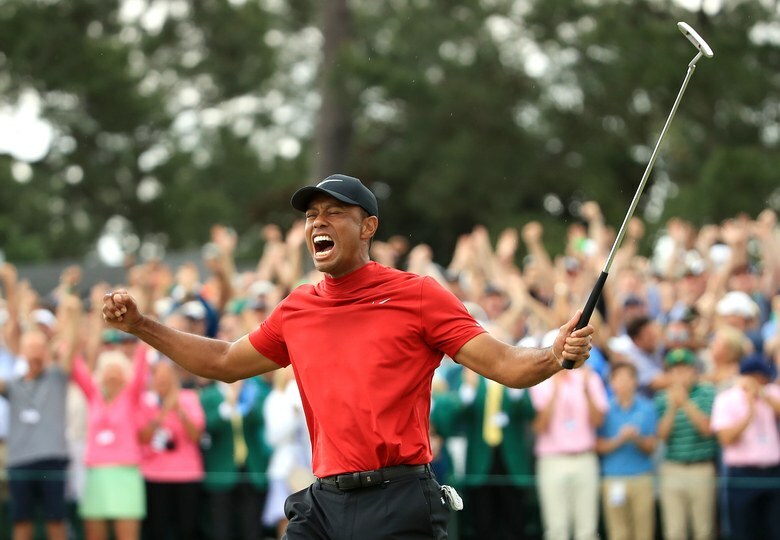 Regardless of your opinion of Tiger Woods, there are few that would dispute that he knows how to win. But the bigger lesson here lies in his slumps. Many would have argued that Tiger would never be back, especially after injuries and personal low points. But he did, winning his fifth Master’s title after an eleven year deficit. What does this have to do with selling? Even top-performing sales people will tell you that there are ups and downs in business. What you make of them will ultimately determine your fate. Develop the right mindset – Do you really want to come back? Or, is it time to explore a new direction? If you decide that you DO indeed want to come back, then you need to take deliberate steps to make that happen. You can’t just sit and wait for the slump to go away. For that matter, you can’t continue to do the same as you are now if you expect different results. Determine the root cause of the slump – Have your customer’s changed? Are you covering bases with all of your key influencers? Are you sharpening your skills? The potential list seems endless and it is important to pinpoint the exact reason so you can fix it. If you don’t know, go back and ask your customers and potential customers, especially regarding the sales you have lost. Right, this can be painful, but if you are committed to change, you have to do this. Evaluate your market – Take a step back. Perhaps your market has changed and you haven’t changed with it. Is it time to redefine your customer base? Having worked extensively in the agricultural industry, I have witnessed several geographies transition from family farms to hobby farms. The customers went from “needing” equipment to “wanting” equipment. The sale changed as the customers changed. Yet, many salespeople refused to acknowledge this conversion, continuing to work hard to “just get through the slump”. Those who took the time to understand their new buyers were those who thrived. Retool – Now IS the time to retool and retrain. What changes are happening in your market? Is technology changing? Perhaps it’s time to assess your current skill levels against future needs. Are you selling the same old way that you always have? Don’t confuse persistence with performance. If you are not producing what you want to be, doing more of the same is futile. If you want better results, something needs to be amended. Understand the filters – Now more than ever, it is important to execute on all levels. While product knowledge and technical expertise are critical pieces of the sales equation, if you concentrate on these alone, you have a 1:64 chance of connecting with the customer. Product knowledge and technical expertise are only two filters that customers use to sift through buying decisions. How well you execute on sales skills increases your odds exponentially. Other critical filters include your ability to appeal to the behavioral style of each influencer, communication preferences and convincer strategies. Don’t dwell on the competition – In tough times people tend to get defensive. If you defend against your competition, you may cause defensiveness with your customers. Know about your competition and sell to your strengths. Numbers matter – If you determine that your skills are in line with your role and what is needed today to effectively sell to your customer base, then go out there and work the numbers. Salespeople who propose more solutions, earn more jobs. Know your closing percentage and what it takes you to win more sales. Compare how many contacts you make per buying influencer, type of industry and the average close for each in order to evaluate where to focus your valuable sales time. Don’t put your eggs in one basket – Working on one or two huge accounts can be invigorating and also a recipe for disaster. Be sure to diversify, seeking new opportunities on a regular basis. Make sure the opportunities that you pursue are those that mirror the characteristics of your top customers. Study top performers – Look at what wins them more business and replicate it. And remember, even top-performers have opportunities to grow! Pick one best practice of a top performer on your team and deliberately practice until that behavior becomes second nature for you. Take the time to share successes as a team so you can learn from each other. Practice your swing – Even the best athletes practice the basics. Based on our studies of top-performing salespeople, there are over sixty four individual skill sets in which sales people need to be proficient in order to master their craft. That is a lot to think about, so take one at a time and deliberately practice until you become unconsciously competent. Then move on to the next skill set. All salespeople have strengths and opportunities. Top performers continually evaluate their competence and strive to grow. Be ruthlessly committed to pre-call intelligence – It’s all about relevance. What relevant new ideas are you bringing to your customers? This requires staying on top of what is important to your customers, what is changing in their business and industry and what personally motivates them. Make sure that with every contact you bring a relevant point of view that impacts the personal or business value for each contact. Go where your customers go! Look ahead. Where are your customer’s going and growing? What’s next for the business and industry? Stay a step ahead of every other salesperson calling on that account that is there to make a single sale rather than grow an ongoing relationship. Make sure you are networked and networking with C Level company executives, not to sell, but to understand their perspective and vision.